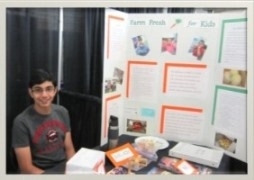 "Connecting local farmers to economically challenged children"
The Mission of Farm Fresh for Kids (FFFK) is twofold. 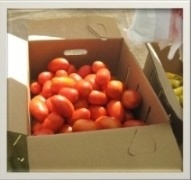 First, we aim to help low-income, nutritionally at-risk children get started eating more fresh produce. 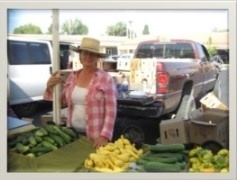 We also want to promote small-scale sustainable farmers throughout Nevada and California. Specifically, this is done by providing coupons through the child’s doctor/nutritionist which are redeemable for free fresh fruits and vegetables at a local farmers’ market in the summer. This year, we have ten clinics and nearly fifteen farms which have agreed to partner with us. We believe that every child has a right to a colorful, natural diet, with abundant fruits and vegetables, free from processed foods. Thank you for your interest in Farm Fresh For Kids. Read more about the problems we face here in Nevada, and the steps we are taking to combat these issues. Currently, we are in our sixth year of operation, and we have made adjustments to our program to ensure maximum benefits to the children participating. For a brief summary of our current program, please see our most recent informational flyer. For any questions or comments, please contact us using this form.